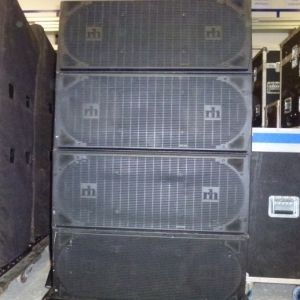 The KF750F 3-way tri-amplified full range system contains several EAW technologies that make it a powerful concert touring sound reinforcement tool. Its Acoustic Singularity? design aligns the three sub-systems along a single axis so that the KF750 acts as a true point source. This greatly reduces temporal smearing of transient events and improves overall clarity and impact. 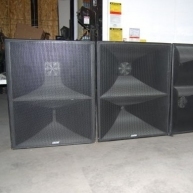 Since the large mid frequency horn contains both the high and low frequency sub-systems, the overall package is just 31 in high. Still, the KF750F provides consistent wideband pattern control in both the vertical and horizontal planes. 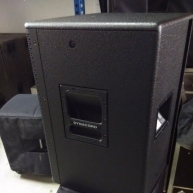 The LF subsystem includes two vented 12-in woofers mounted in the MF horn's upper and lower walls. The large MF horn loads a specially designed 10-in midrange cone whose geometry exactly matches the rear of its phase plug assembly. By developing the driver and phase plug as a single unit, pathlength discontinuities within the MF passband have been eliminated without compromising the directional qualities of the source as all previous phase plug designs have. The 2 in exit/4 in voice coil HF Compression Driver in mounted on a 35deg x 35deg constant directivity horn mounted coaxially within the MF horn flare. 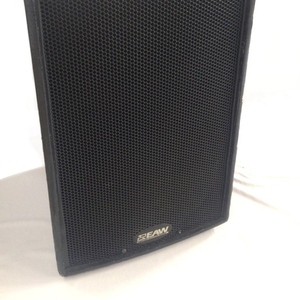 The KF750F's 15deg-per-side trapezoidal enclosure features eight 4-position fly tracks (four each front and rear) that accept industry-standard fly clips. 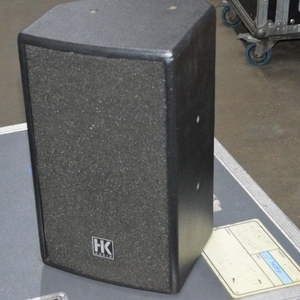 The KF750F is designed to create arrays with optimized coverage in both the horizontal and vertical planes to cover audience areas ranging from 200 to 80,000 people. At just 31 in tall and 190 lb per module, KF750F arrays are smaller, lighter, more efficient and therefore more powerful than those built with other systems. These smaller, lighter arrays are easier to fly, require less truck space and permit more open sight lines to cover any given Venue. The KF750F works with a companion downfill module, the KF755F, to provide full range nearfield coverage below the array. When KF755's are either not available or not desired, the KF750F's smooth power response produces remarkably even SPL levels throughout the coverage area, allowing it to be use for nearfield coverage when necessary. 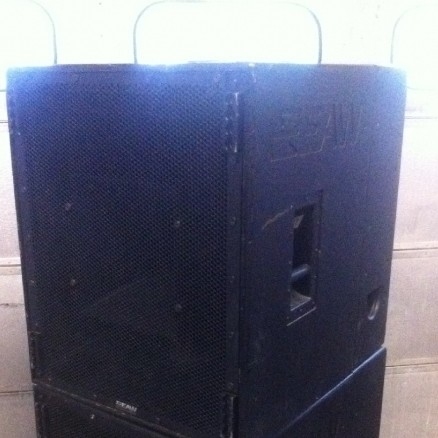 KF750 - Turn Key KF750 System in good condition, previously used on rentals. 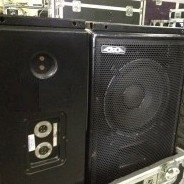 KF750 System - Complete KF750 package. Comes with a 10 day warranty. 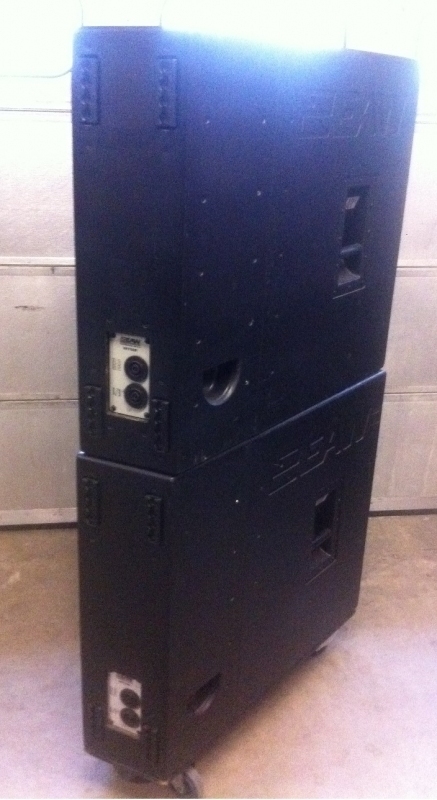 KF750 Package - KF740 system of (4) with amp racks in good condition. Previously used in rentals. 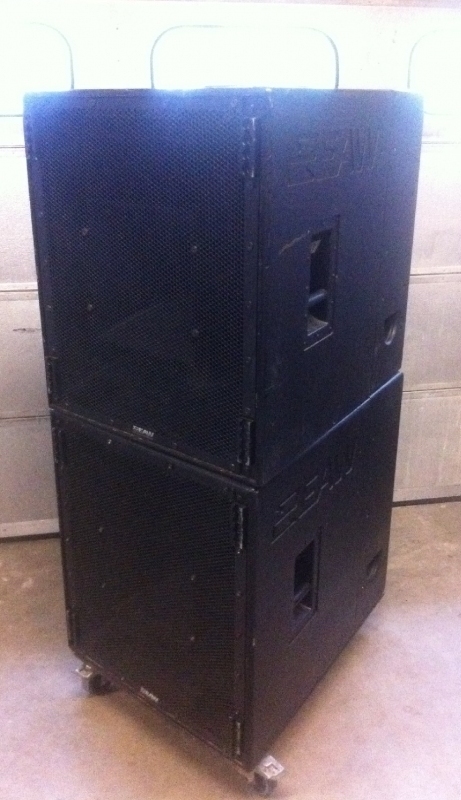 KF750 - KF750 System in good condition. KF750 Package - KF750 package. Used on various rentals. KF750 - Turn Key KF750 System in good condition. Previously used on rentals. 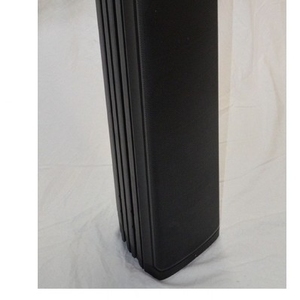 KF750 Package - Package of (14) KF750F top cabinets with fly-frames, wheel-dolly's, covers and fly-ware. KF750 - KF750 in excellent condition. Minimum purchase of (2) units. Priced per unit. KF750 - Nice system. Used on various rentals. 30 day warranty. KF750 Package - KF750 package. Used on various tours. KF750 - Package of (16) KF750 in very good condition. KF750 - KF750 Turn Key System in good condition. 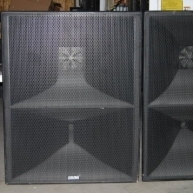 KF750 - EAW KF-750s in good condition. KF750 and KF755 Package - Package of (6) KF 750F and (6) KF 755F. Ready to fly and blow you away!